This topic contains 166 replies, has 28 voices, and was last updated by Emperor_Justin 1 week, 2 days ago. Forgot to mention yes this works on servers both with the missions and the mod in general. so if you want to put it on your server go for it. And note this is much bigger than OMGisGreen’s version because mine has video game characters, GT characters, what if transformations, etc. it is about half the size of DBC because of all the skins. are all the files stored in a file that i can download or are they all seperately downloaded? ok. I hope you all enjoy it. Since with the missions it is just a small portion of what is in stored. since soon there will be an evil saga. 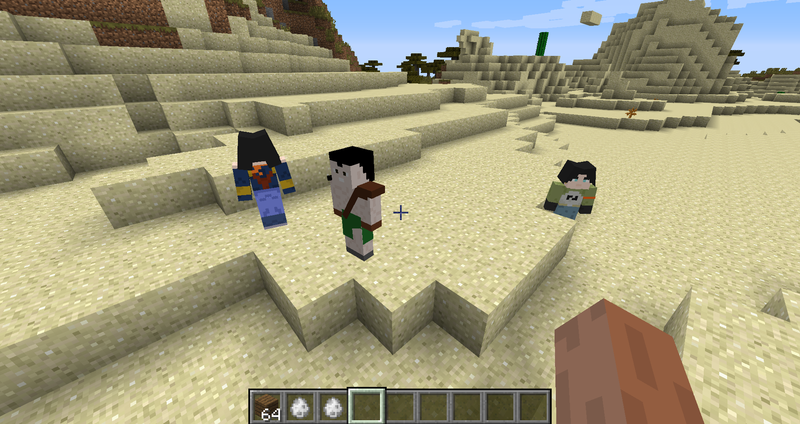 a what if saga with the left over mobs. like Buugito, Golden Cooler, 4th form King Cold, Celza, etc. Ok i tested it and it seems Orespawn doesn’t work with DBASkins. I’m not sure why exactly that is and i don’t think i can fix it so they work together. aKuMaXDA cool. 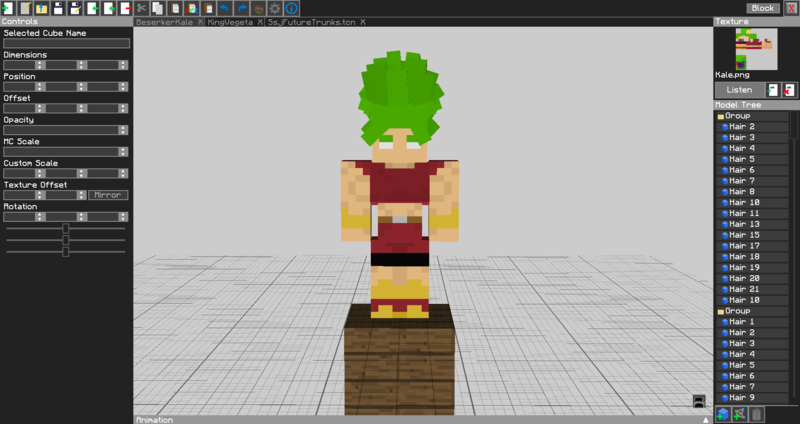 atm i am working on the God saga where you can fight all or atleast most of the gods. and the what if saga with all the what if transformations i have. Ok i updated the missions so now it has a What If Saga and a God Saga. oi i had some time and tried to test the addon FINALLY but i can’t use the side missions could you fix that please? yes. i am going to contact Jin see if in the next update if he can fix it. still the same links from the top of the post? Do i need OMG’s version of the mod or can i just use yours. Confused because you labeled it as skins. No you don’t need OMG’s version. The two can work together but you would get more stuff with mine. You have a gt saga and a TOP saga? why my saga give KILL ERROR? 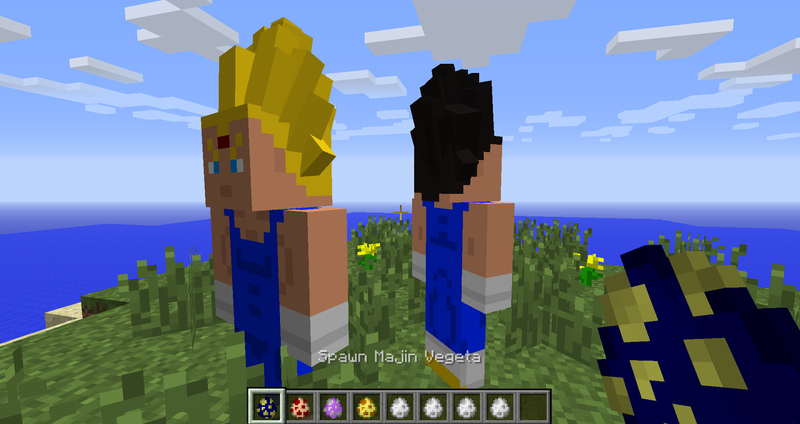 Cabba,and all what if saga npc and dragon ball super npc. This reply was modified 11 months, 2 weeks ago by Kento-San. I don’t think that is my mod as it is fully compatible with DBC. If it is though I would need more info than the message it always tells you when you crash using modded minecraft. When I get to fight semi-perfect cell(cell in second form), it says that I have to be in “SSG2” which doesn’t exits and I doesn’t make any sense to ask for a transformation there;any solutions to this problem? Hello. Surprised to see people still into this after it died from one of the old updates in dbc.. lol. Anyway I am aware of the issues in the quests. I cannot fix them as with many of the issues it is mostly a DBC related issue. The others though are related to the names I put in the file and they were wrong. But I’ve been too busy to redo that in the JSON file as it would take a lot of time. Ok never mind. I fixed it. 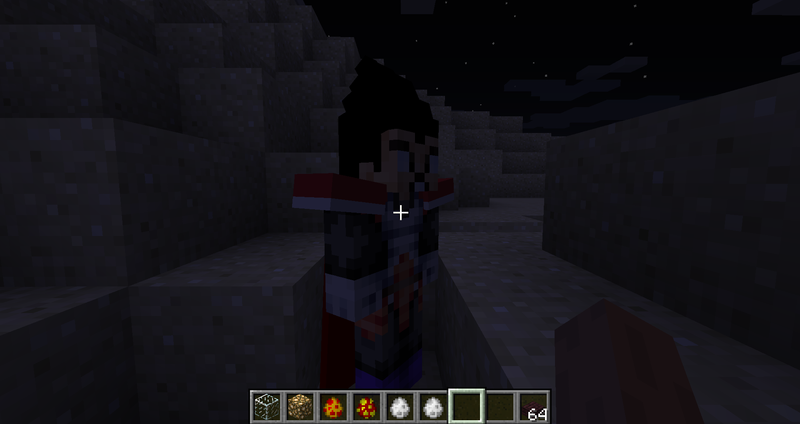 The issue was when I transferred the code from my old pc to my new one for whatever reason the AI code to the mobs were lost. I restored it so now they should be able to attack you. And I think I fixed the Krillin and King Kai issue. This reply was modified 8 months ago by Rulomi Lopez Minguez. updated the mod. Saga is still the same. a rather small update yes. 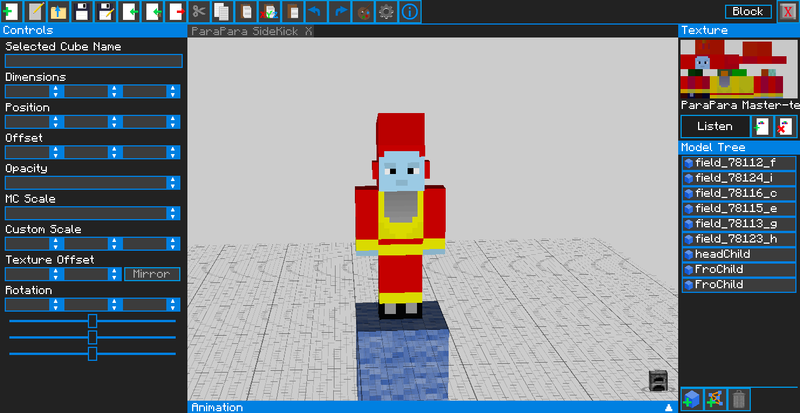 But I am releasing it to see your opinions of the models so far. Now don’t expect anything too advanced. I am keeping it simple for now. 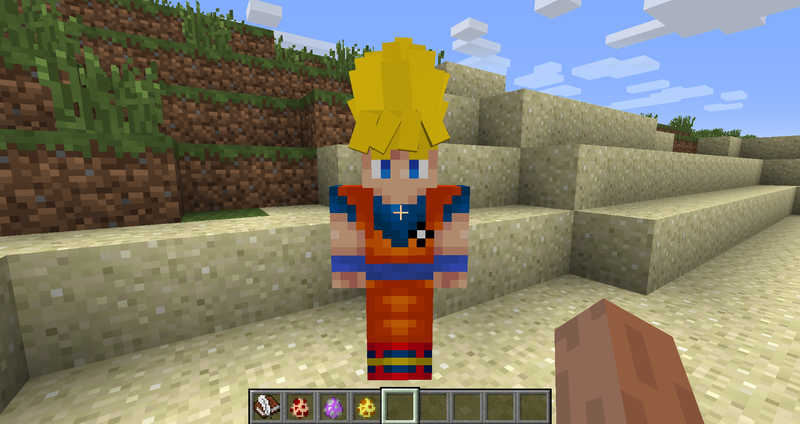 Ok so here is what I am working on for this upcoming update to the mod. Frost and Cooler with their tails and other features. The Tails are so far completed. 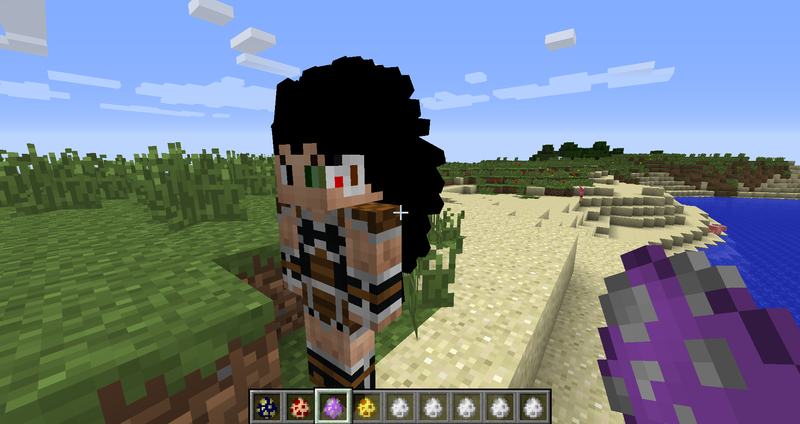 I am still working on the spikes. Then there is Omega Shenron and the spikes on his back. 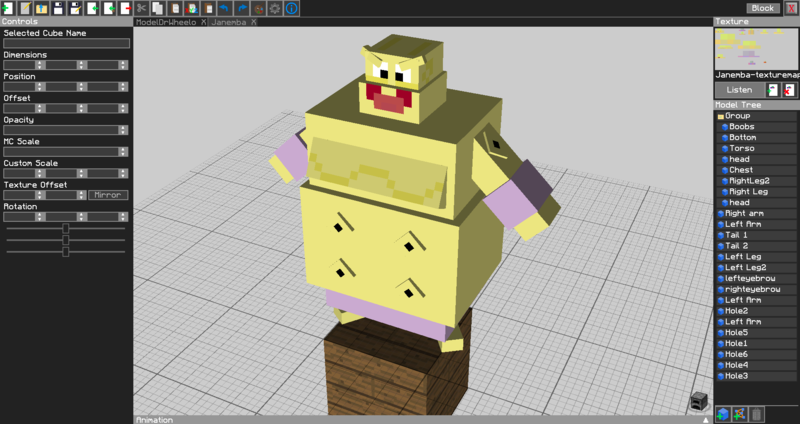 Along with attempting to do the Buu models and make buuhan, buutenks, and kid buu. That is all I can say for now as those are what I want to get done first. Haven’t thought of anything else for this update mod wise. I am however going to try and find someone to assist me in finishing the missions. Rulomi. I am adding stuff as well as fixing the issues you have sent me. The Krillin issue should be fixed but the fix has not been released yet. I’m going to be attempting to do a schedule for updates. Fix updates will happen about every Wednesday and actual updates will happen every Saturday. I’ll have to try this out, looks fun. I’m having a lot of issues with the new enemies and the custom saga. None of the enemies attack me and half of the missions display the enemy you’re supposed to fight as ERROR. At first I thought it was my other mods missing it up somehow but even when I loaded it with just the essential mods the same errors occurred. Now I know this is still being worked on but is this the current situation for everyone or just me? Any suggestions on how to fix it? Ok never mind I found out the issue. I didn’t load in the fix update when I changed the AI the first time. 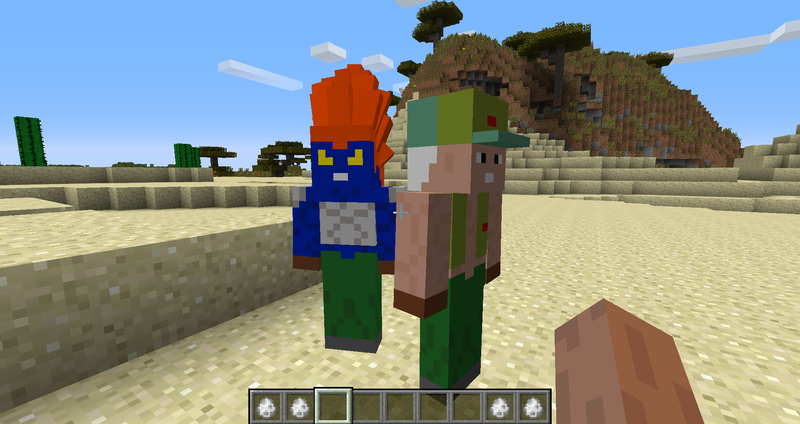 It’ll be fixed in two days when I release the new version of the mod. As for the ERROR I need more information. Could you please send me a list of the ones that display error? Do not know did not test this side quest. Do not know did not test this side ques. I think that is almost all of them. The beerus and golden frieza ones I knew about as they were added before Jin added his. I just haven’t had the chance to replace it in the story. So I’ll try and do that soon. Also going to try and have a look at the others you mentioned. 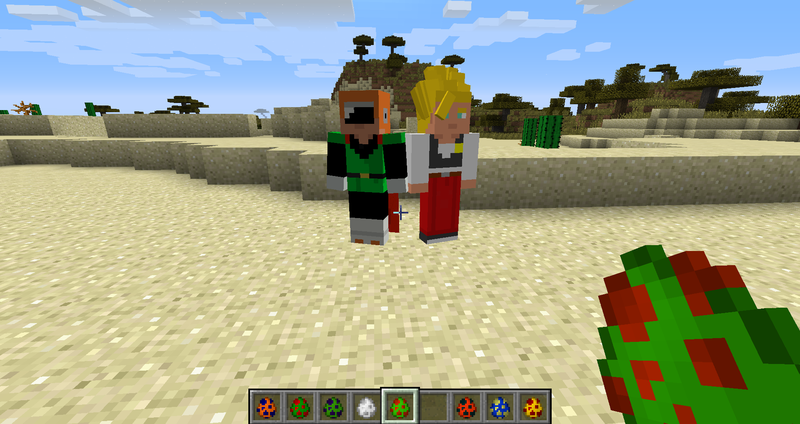 The weird thing is I put them in exactly how they are named in my mod. Just with the mission thing it seems like ones with spaces it has to be a certain one that’s capital. I think I might know the issue. 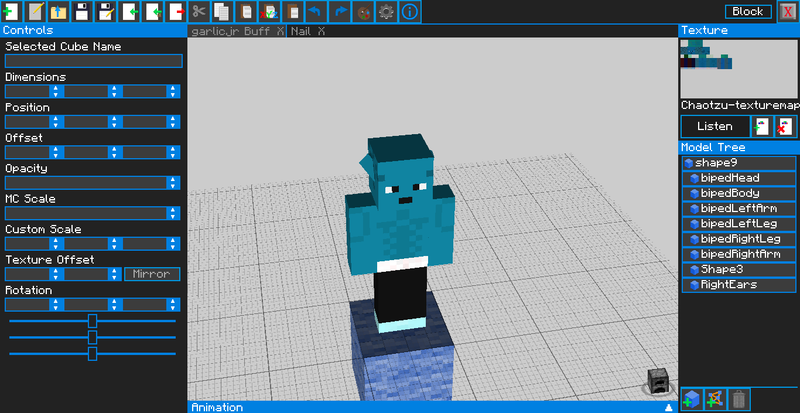 You need to use the same name of th mobs that is in the entity list and on you’re .class files. For instance you have one of the objectives in your saga as “kill;Nssjrose’blackgoku;H2000000;A200000” (Well the stats aren’t the same but everything else is) While the entity list and the names of the .class files for this enemy simply call him roseGoku. When I replace “kill;Nssjrose’blackgoku;H2000000;A200000” with “kill;NroseGoku;H2000000;A200000” it works. So basicly you should be pulling the names from the entity list in the missions folder and the .class file names in your own mod and not their actual names. Also sorry for how hard this is to understand. I’m extremly sleepy. Ok just released the fix update. Here is the change log. I am releasing it now due to me not being able to make it for tomorrow. 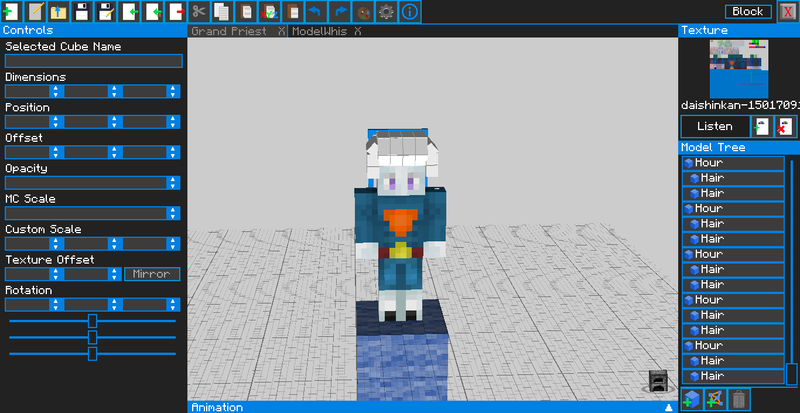 Saturday I might not be releasing an addon update so that is why the models have also been released. However next week for an update I hope to finally add more to the saga. Starting with Hit, Arale, and Toppo as a starting point. Then if I get the chance to I will work on Tournament of Power. 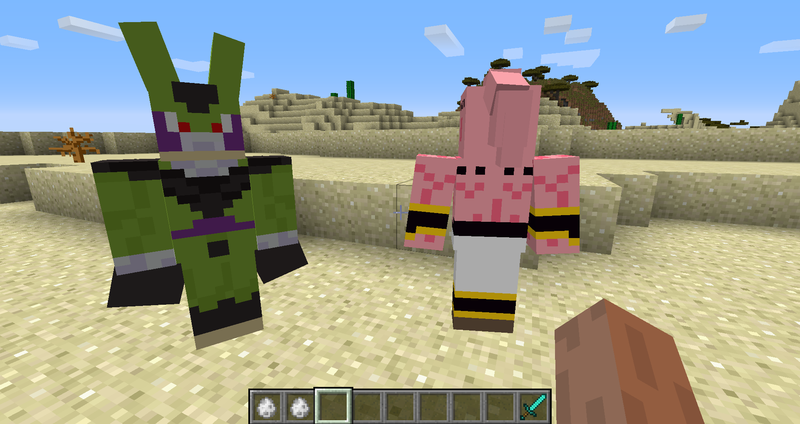 Mod wise I’ll also be adding models to Garlic JR and Berserker Kale as well as adding in Buff Roshi. 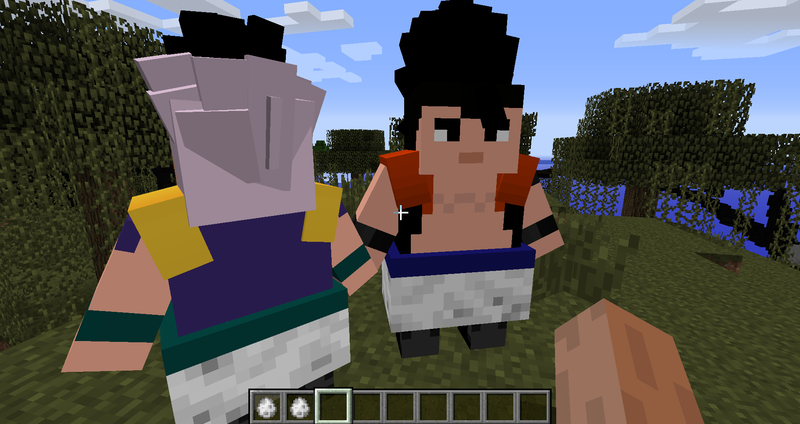 Along with adding a semi buff model for Nappa and Recoome and adding those versions to the story. 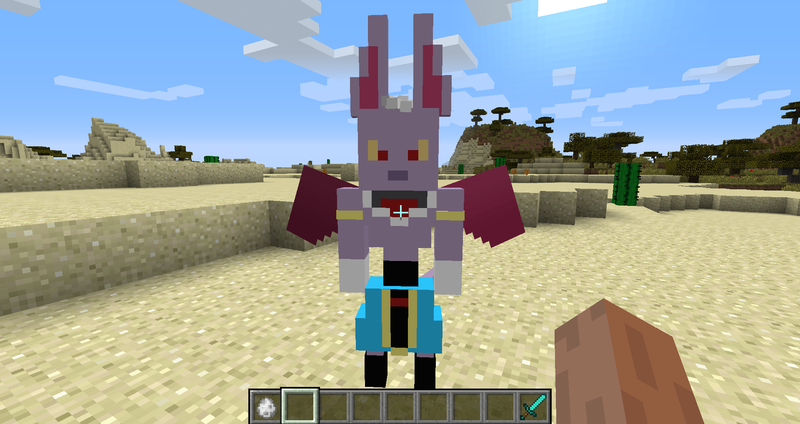 Possibly even adding a model to Whis that gives him his staff. 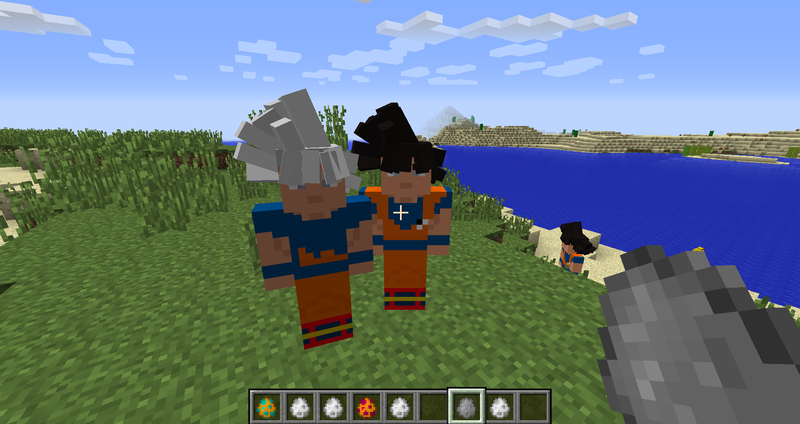 Or tiny detail models for Vegito, Merged Zamasu, Zamasu, and Goku Black by adding in potara earrings. 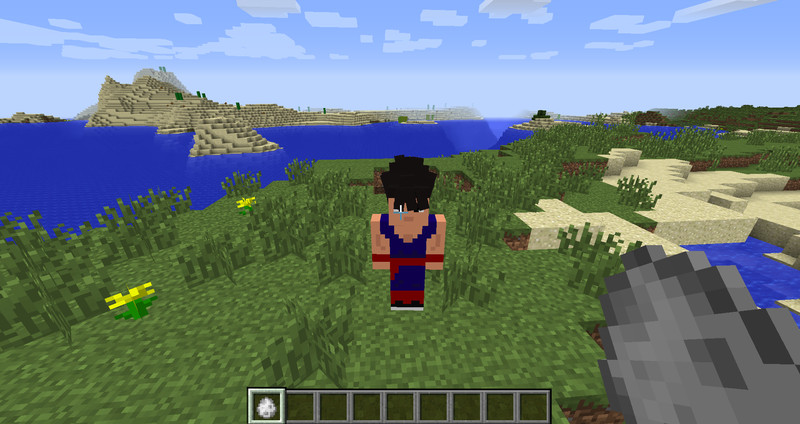 1.I think turles doesn’t work because he isn’t in the DBAskins mod. I couldn’t find him atleast. 2.I think supremekaiofTime doesn’t work because she isn’t in the DBAskins mod. 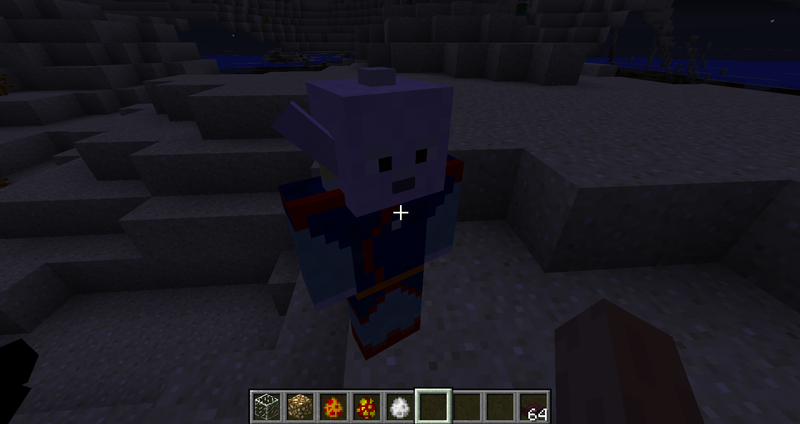 3.I think all the enemies in the what if saga do not work because it isn’t in the DBAskins mod. 4.The enemy tsstrunks doesn’t work because it should be ssjTrunks. 5.The enemy ssjgoku doesn’t work because it should be ssjGoku. 8.The enemy gokunormal doesn’t work because it should be goku. I’m pretty sure those are the problems right now. I could be wrong though. I noticed that the saga is set to currently skip mission 7 which is the oozaruVegeta fight. Don’t know if this is intentional or not. Also the new models look great. This reply was modified 7 months, 4 weeks ago by Xymgar. because npcs do not attack? This reply was modified 7 months, 3 weeks ago by sandralima_1. The attack part has been fixed but is awaiting to be published. 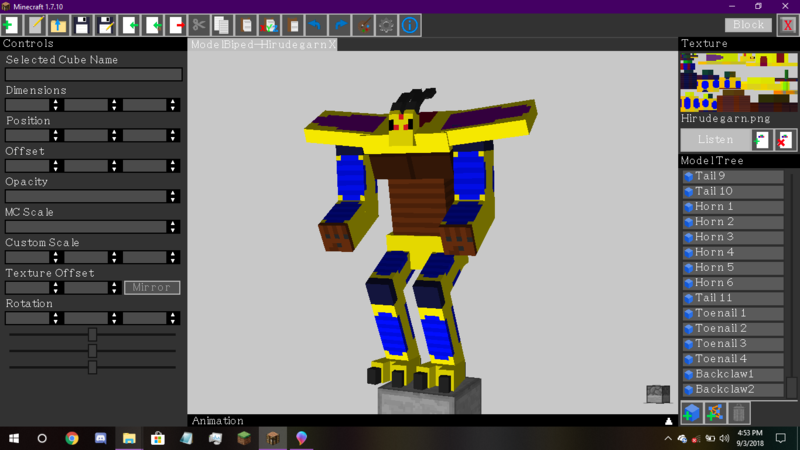 The reason for the wait is because it can cause issues right now as I want to finish the models I have currently added. Like Cooler Fifth Form. Anyway here is the roster for the current list of models however not all of them will be finished I am sure. 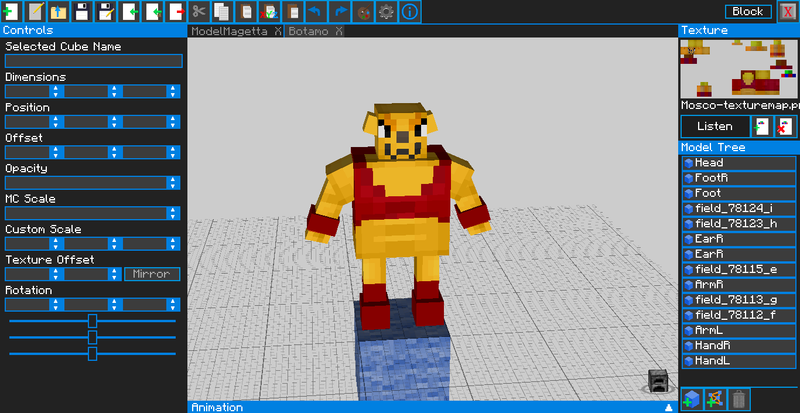 Also, I’d like to announce the reformation of the discord https://discord.gg/Nb8nytv If anyone wants to become a modeler or make textures feel free to join it and message me. I am currently working on two mods but like Jin DBC Addon is much more worked on than NC Addon right now as I haven’t been getting a lot of help on it. so the NC Addon currently has no releases or much progress. I don’t know if this already posted anywhere, but is there a config meant to go with the sagas? No, I never made a config to go with my saga. However there is a config on OMGisGreen’s version. Ok everyone the mod has been updated. This reply was modified 7 months, 3 weeks ago by Emperor_Justin. Also I don’t believe I mentioned this here I did do it on discord though. Feel free to give us a list of suggestions you want to happen in the mod and we will consider adding them in the next update. However we are still unaware of when exactly we can add on to the missions. My issue with it isn’t that I don’t know how to do it. I do. My issue is I need someone else to do it so I can devote my time to the mod itself. 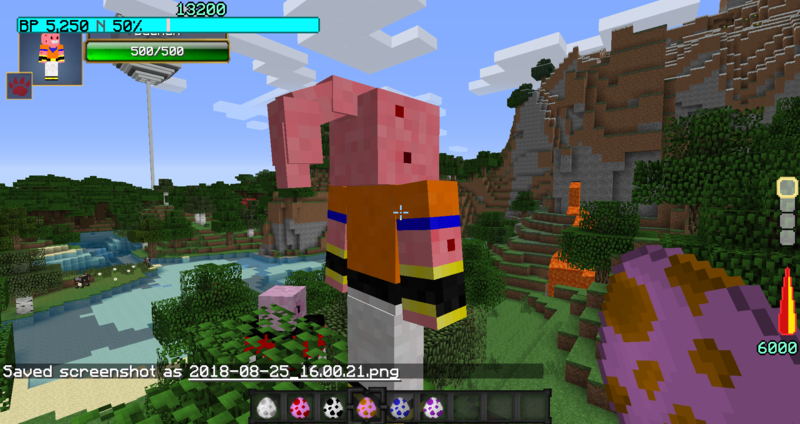 The mod has updated for a prerelease due to issues I am experiencing with what would have been the big part of the update. To download go to the very top of the post. This reply was modified 7 months, 2 weeks ago by Emperor_Justin. this update will be delayed for certain. By how long I do not know. 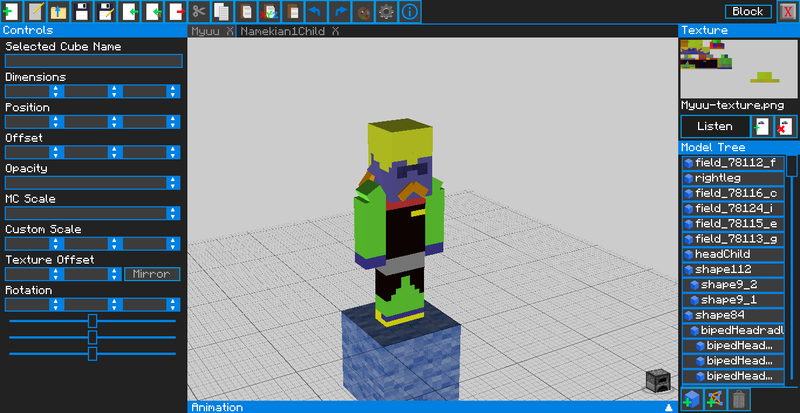 We currently have a few models and skins done. 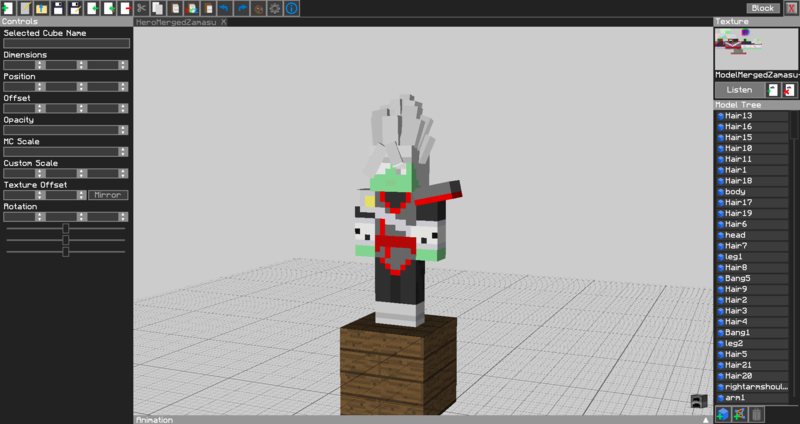 But we are experimenting with item and block models and doing the more complex models like Hirudegarn now. Nice, when’s the next update? 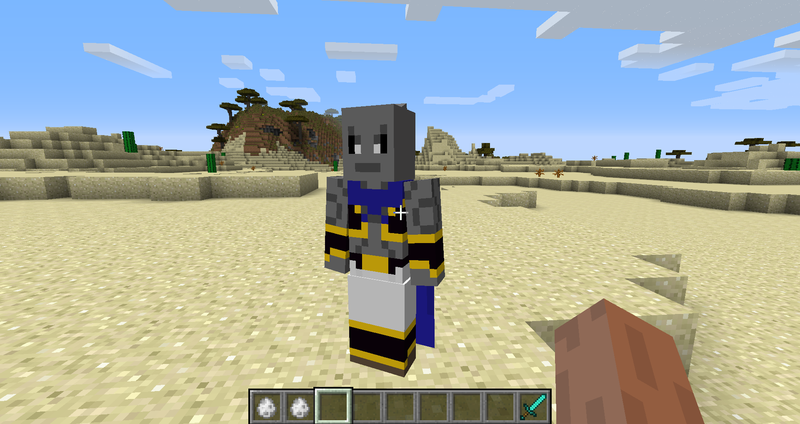 I do not know yet as I said we are in an experimental phase of working on the mod so it is very uncertain. When I’m going to do the saga, God is ta giving ta showing up to kill error. the God Saga gives the kill error due to me removing Supreme Kai of Time and other nonanime mobs from the mod. Don’t worry about it though as I am scraping all of the side missions and making new ones. Will you add the tournament of power? Hopefully it will be soon Numcai. As you know we got the important ones ready for it. Although right now we are focusing on redoing the old ones and adding in the ones we skipped over. Like the movies. Now good news. DBASkins-v1.0.19 has been released! Ayy good to hear! Where do you release the updates at? This reply was modified 7 months, 1 week ago by Numcai. Good question. So the mod, missions, and instructions are all in dropbox. The link for it is all the way at the top of the post. It will always be the same link. Or if you want a specific update like if one is unstable you can find it in the discord. I wouldn’t use the original dbc config (since you know…. by default 500 max stats lol) but there is no specific config for this. However if suggested I may make one up for you guys. Well they are in no means complex skins. Pretty basic skins by today’s standards. To answer your request of models I will not give any of the models files directly except for Jin Ryuu if he decides he wants them as he already has access to all of them. As for “fan made” sagas there aren’t any no. There is the main saga that made the dbc saga more accurate and expanded it.Along with sagas for movies and training. But that is it. I do see the confusion though. I had fan fic characters and a saga in the mod a life time ago but were removed for space. If Jin does decide to add my stuff I will remove them from my mod and just add heroes and side characters and making missions with them. 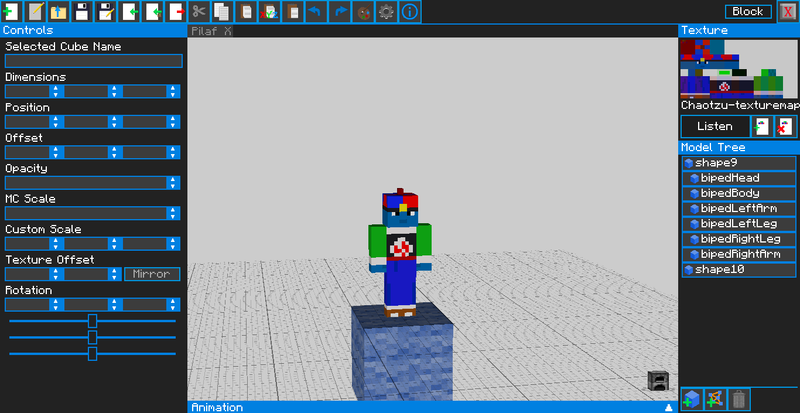 As well as making a new mod that is a fan fiction based. Or if voted upon with the discord members just keep it all one mod. Hello. I am sorry for the delayed reply. 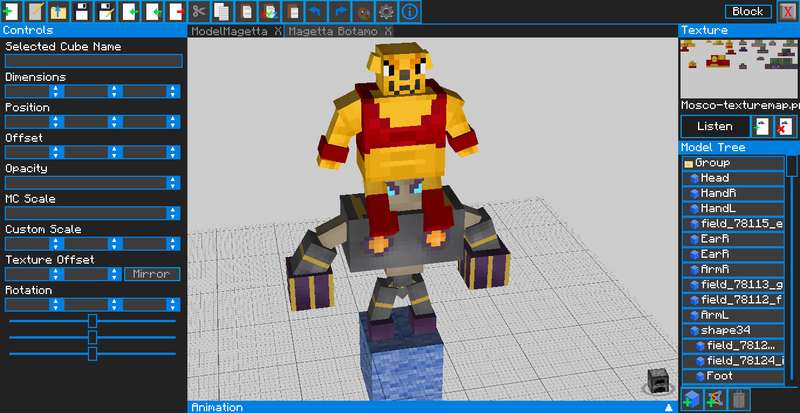 I do not know how exactly I can “send you the models” as you asked. 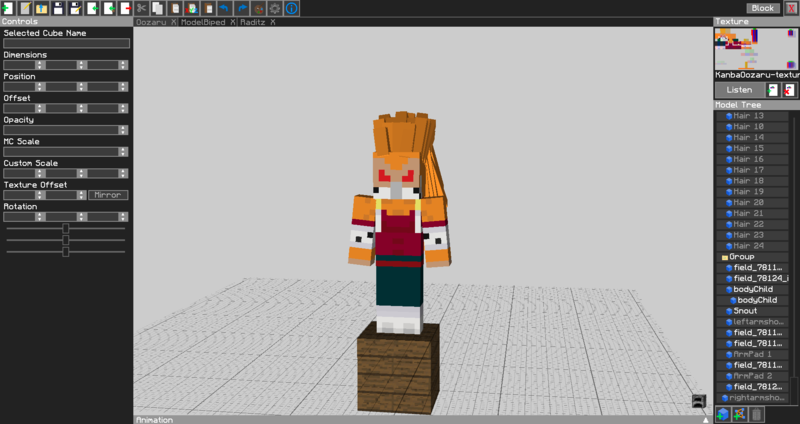 As these are screenshots of the models either while being made or when they are already in the game. I also wanted to say my regards to Jin’s family and the community. We are all still badly grieving over the loss of him. 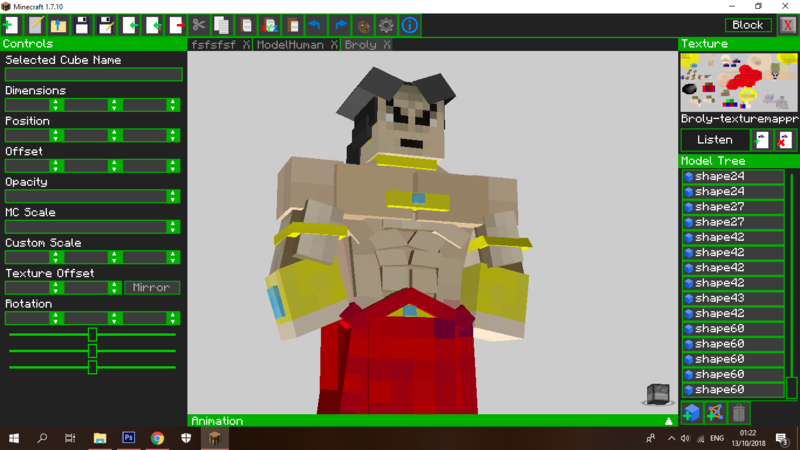 Anyway in this post I am linking the screenshot to the Broly model being worked on. One of the last models we were working on for Jin. 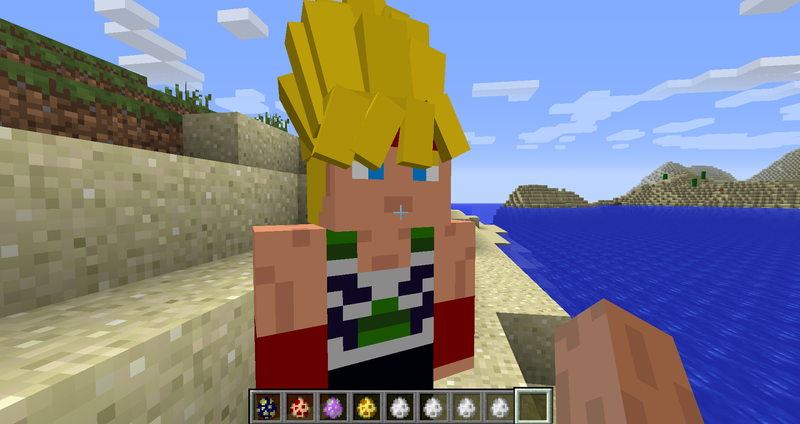 Once Broly, Super Shenron, Ultimate Shenron, and Smokey Shenron are complete and maybe the Janemba remake the mod will be put on a hiatus due to me and the Jingames Addon Mod team needing time to work out a list of what to do next as well as needing to try and get into contact with Jin’s family when they are ready to enter Jingames. As I would need to give them all of the files of everything I had worked on for Jin before he had passed as well as plans that Jin had that to my knowledge he had only shared with me. Currently just base form is done. Supressed Ssj, Ssj, and Legendary Super Saiyan are being planned as well. Note we are going by old broly that will be on side missions. New broly will be in the main storyline. Also this post will be pretty much put to rest. I’d like to move everything to http://main.jingames.net/groups/dragon-block-all/forum/ our group chat. If people are not into that idea however we will go back to using this. Hello, no images unfortunately. As when I try and post them I keep receiving an error when I post it. So going to give that a break. In the latest update to DBASkins (1.0.22) I have added all the Angels, Ssj4 Goku, Ssj 4 Vegeta, ssj4 Gogeta, Gogeta, Gogeta Blue, Vegito Model, Vegito Candy, and a few others. No update for DBASkins this week. This week will be for DBAExtra and hopefully the release of DBAWISkins and/or DBAVGSkins (What If and Video Game) thanks to those who participated in the polls. DB Heroes would be the first one to be worked on and will likely be delayed for the release due to the models I see it has. I was also wondering if anyone would be interested in me releasing my Dragon Block Reverse resource pack from a few years ago. 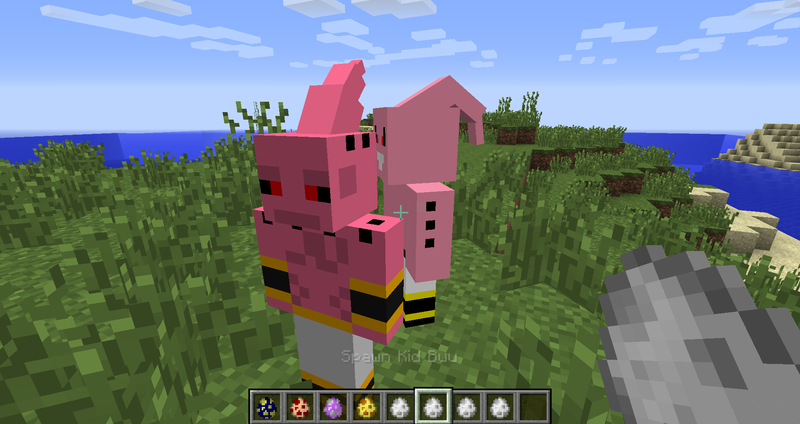 The skins were used briefly in Dragon Block all and people were curious about them so if it is released and people like it I may redo the skins to make them look more decent and maybe even turn it into a mod. 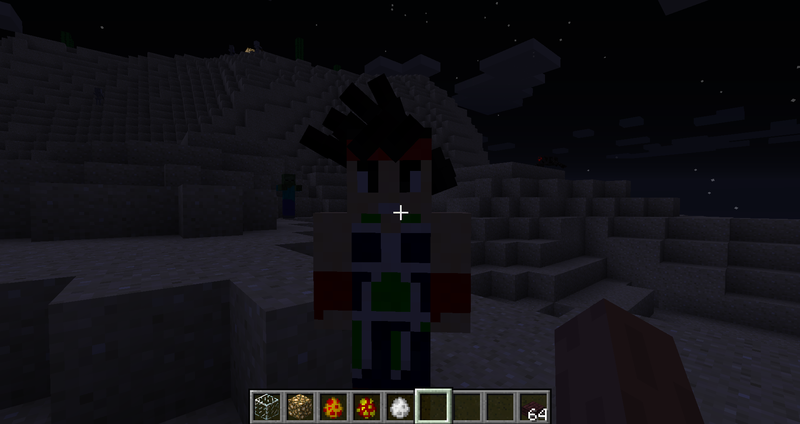 Oh also in the group for this (Jingames Addon Mod) I posted a few screenshots I couldn’t show here. Just a little status update for the release tomorrow. DBASkins and DBAExtra are getting an update. DBAExtra’s update is a fix for some old stuff and adds a few new stuff. DBASkijs is a bug fix for missions. 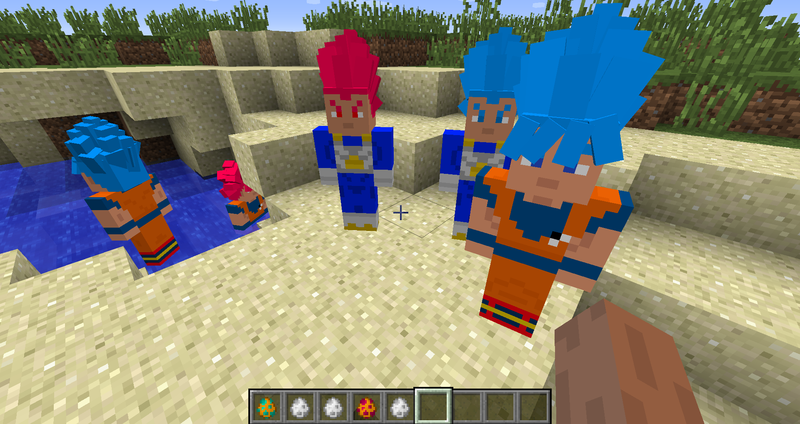 There is also a TeamFourStar version of mainDBC that is being released via discord as a little test to see how many like it and what it to be continued. Db heroes and the what if saga mods haven’t been started yet due to me still working on the planning phase for how I want the models done. 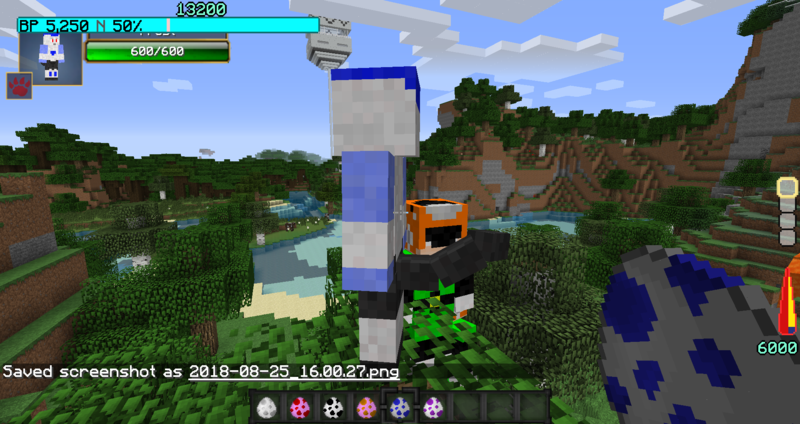 In the discord you can get the new versions of the mod. For those that do not have discord Jingames-addon.enjin.com is another place for specific updates. Kale has been completed. As have Turles and 13. No screenshots this time just a little update on the situation, the missions are finally going past Merged Zamasu and moving into the tournament of power. Is the current link still active? yes, but it is a version or two behind. Most of the people have moved onto the discord instead of dropbox. Thank you. A fix update for transformations and the side missions will be worked on and released sometime in the near future. Can’t provide an exact date as I had been taking time off due to how exhausting this update had been lol. https://cdn.discordapp.com/attachments/485962960670294017/548313369741099018/modid-1.0.jar an alpha test for the AI we will use for flight and ki attacks in the final version of the mod to add cnpc compatibility. i downloaded this and i went to where it says “side missions” and the only missions there is are “cooler sagas”, “fusion reborn”, “hirudegarn”, and “android 13”, but in the missions file there are more than these. how do i fix this? Thank you for replying and reporting this issue. We have known about the bug but we haven’t been able to find a way to fix it yet. 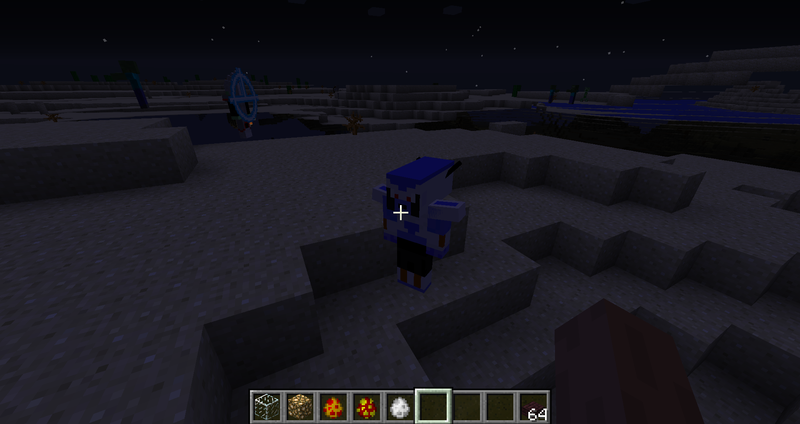 I’m probably definitely doing something wrong, but I tried downloading from the download link at the top of the thread, and all of the enemies had really low health (2-3 hits with a diamond sword without investing in my strength stat) and the custom modeled NPCs would move without moving their legs. I was wondering if there was something I needed to change? I put the Extras jar and the DBASkins jar in my mods folder. The items appeared, the characters just don’t seem to work right. I also don’t know if the time ring and staff are supposed to teleport you anywhere, but they didn’t for me when I tried right clicking. I get this weird bug where I think Oozarou/Great Ape Vegeta was suppose to spawn but doesn’t. Strange. He should spawn, what mission file are you using it could be outdated.OMGisGreen’s mission file won’t work with my mod. As far as I know I was using everything pertaining to DBASkins. Though it’s hard to pin point everything that happend since that moment since I tried several other verisons of the mod as well to see if it’d help, from the main link above, to previous versions on other sites. Even the releases on the discord itself I always ended up with that error with Vegeta. Since then I even learned how to skip sagas with the /jrmcm main 0 command by going up and down accordingly with the number. 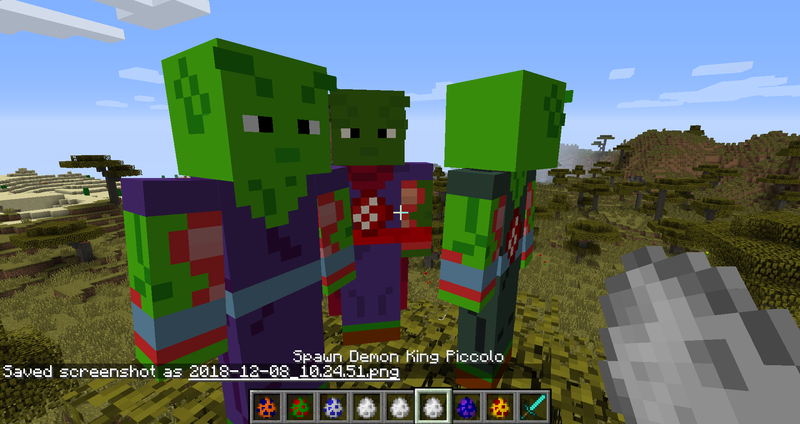 Though assuming I was using your mod at the time I even that command and it took me to a point that I’d fight King Piccolo or something after getting dragon balls and he wouldn’t spawn either. That may have been using OMG’s at the time as well, but I made sure not to use both at the same time as I was having issues with either one regardless of version number. In the end I kinda quit trying on an unrelated note where I installed an entirely different mod that began to conflict with JRMC/DBC as a whole and basically reset my character in such a way it’s like I have to soft-reboot my character all over again in my current world by picking my race and getting back points etc. Though now my mission tab itself seems like it causes my game to disconnect as if it for some reason has to download missions for my Survival Single player. Though as bad as my latter issue is I’ll figure out that on my own. If you can verify the most recent file for the mod is either here or the discord and I can start from there. I believe the mission file is for whichever version that comes with the download. Even if I used other versions I made sure to clear out or overwrite previous mission files in each attempt. Edit: If you need me to upload the mission folder or something before I try out other verisions agian let me know. This reply was modified 3 weeks ago by A120. 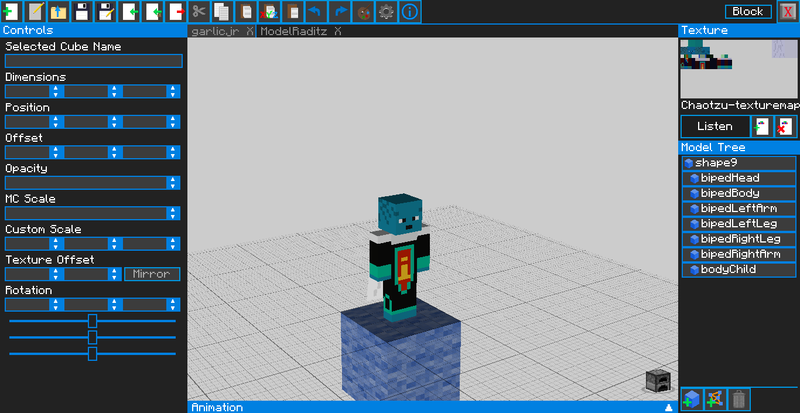 Okay so I cleared up all my prior issues and made a clean install making sure no other prior files are in the mod folder and mission folder pertaining to the mod. While I don’t know how to find the mission folder’s version, I did reinstall the mod from the above link in the forum so I assume the mod’s version is 1.0.24 for sure. After doing that I even started over to reset my sagas to the beginning. Now, even with all that King Piccolo doesn’t spawn either, he has the KILL ERROR as well. This reply was modified 2 weeks, 6 days ago by A120. Just for extra reference I copied the missions from the mod and put them in my saves/data/missions folder. Assuming I did that part right then this is how the mission files look like while in the folder. The instructions mentioned something about renaming things to 1.2, 1.3 1.4 etc. If that is the reason why things aren’t working for me, it could be that, as I have no idea what parts I’m suppose to rename to or what, because of that I haven’t actually done that step. Alright I think I found the problem the entity list keeps getting overwritten back to the default list every time I load up the game. Even when I put the new entity list set to read only it still gets over written. That is odd. Do you have discord? Perhaps it will be easier to fix the issue there. I’ll check the Dropbox to see if I accidentally put the outdated mod or saga there because no one in the discord has reported issues like this. The only thing I could think of is if you are using OMGisGreens mod or Luxxies. I can try and do the video sure, but I’ll need to get the crash log to make sure it isn’t a bug. It might be that you didn’t load Jin’s original saga before loading mine. As you need to do that first. Alright, so after trying a number of other things it is indeed a user error on my part. Part of which the mod’s placement wasn’t the best and finally figuring out it was a conflict with a very unlikely other mod, but after verifying that the Kill Error was gone for mobs 1-by-1 for each mod I was using at the time an actual crash came up with this ‘JourneyMap’. 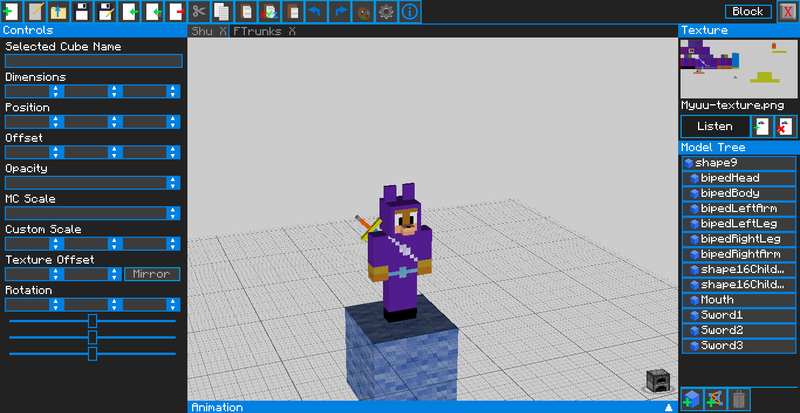 Not sure why that mod in particular but I just subbed it out with Xaero’s Minimap and no problems. Able to complete everything up to defeating King Kold and Frieza with no issues so far. Though thank you for the responses though if you want the crash report to see what or why it conflicted with that mod I could post it if you want, though personally I moved on from that map mod. The thing is, the mod comes with a file to help you install it. 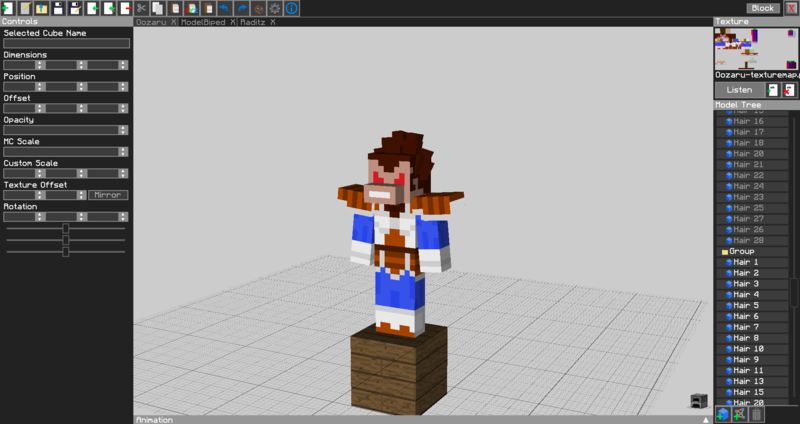 Character movement doesn’t occur since we don’t have animations in the mod, due to us using MCreator with Tabula models. A fanfiction series in which will be the focus point of the new mod that we may make once DBASkins is finally complete.